A weekly/monthly organizer with a unique page design. Features smart tools for maneuvering between paper and software planning. The Page Jog allows you to pull up a page to create an instant reminder for later posting to your computer calendar. Section tabs for notes, to do and address. A weekly/monthly organizer with a unique page design. Features smart tools for maneuvering between paper and software planning. The Page Jog allows you to pull up a page to create an instant reminder for later posting to your computer calendar. 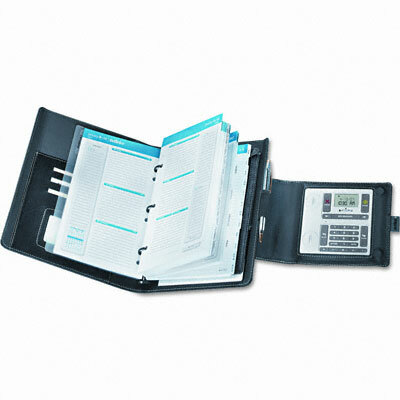 The Task Pad organizes your notes for easy transfer to computer and enables you to capture e-mail addresses, contact names and phone numbers. The Pop Up Reminder alerts you of your appointments in advance and acts as calculator. Section tabs for notes, to do and address.